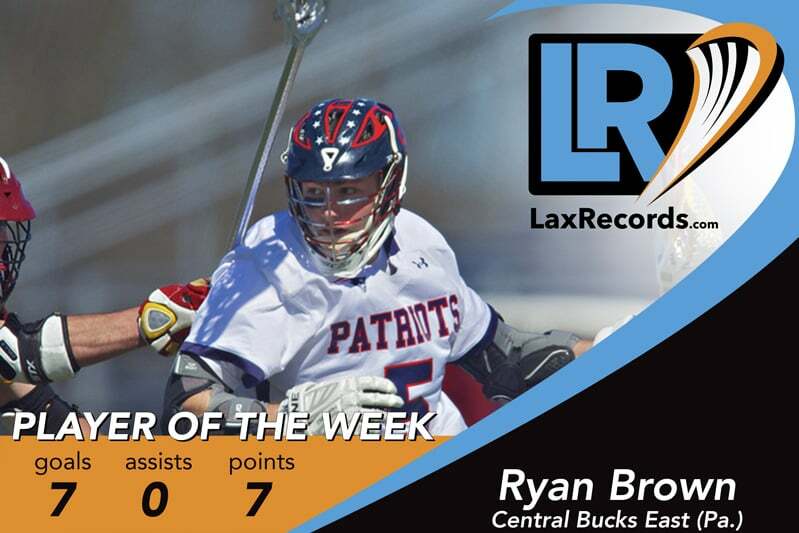 Brown helped lead the Patriots to their first-ever appearance in the PIAA semifinals with a seven-goal week. The senior scored four goals to lead Central Bucks East to a 7-5 win over Parkland (Pa.) in the first round of the PIAA AAA playoffs on May 30. He followed that up with a three goal game in one of the biggest upsets of the high school lacrosse season. Brown scored three goals as the Patriots defeated No. 4 La Salle College (Pa.) 8-6 in the PIAA quarterfinals. Brown entered this season with 170 career points on 126 goals and 44 assists. Central Bucks East used a 7-1 run to erase a 3-1 deficit to reach the state semifinals where they take on Avon Grove (Pa.) on Tuesday. Scored three goals in the Nassau County Class B title game – an 8-6 win over Manhasset (N.Y.). He scored two goals in the 14-4 win over Eastport-South Manor (N.Y.) to lead the Trojans to the Long Island Class B title. Berg scored three goals and had one assist in the Pioneers 9-5 win over Haverford High School (Pa.) in the first round of the PIAA AAA playoffs. In the quarterfinals, Berg dished out four assists and scored one goals in a 12-6 win over Manheim Township (Pa.). Harman scored four goals as Avon Grove upset Garnet Valley (Pa.) 10-5 in the PIAA AAA quarterfinals Saturday. Munoz scored three goals and added two assists as the Patriots defeated Smithtown East (N.Y.) 9-8 in the Suffolk County Class A title game. He added one goal in the 8-5 win over Massapequa (N.Y.) in the Long Island Class A championship on June. 3. Munoz has 29 goals and nine assists this season. 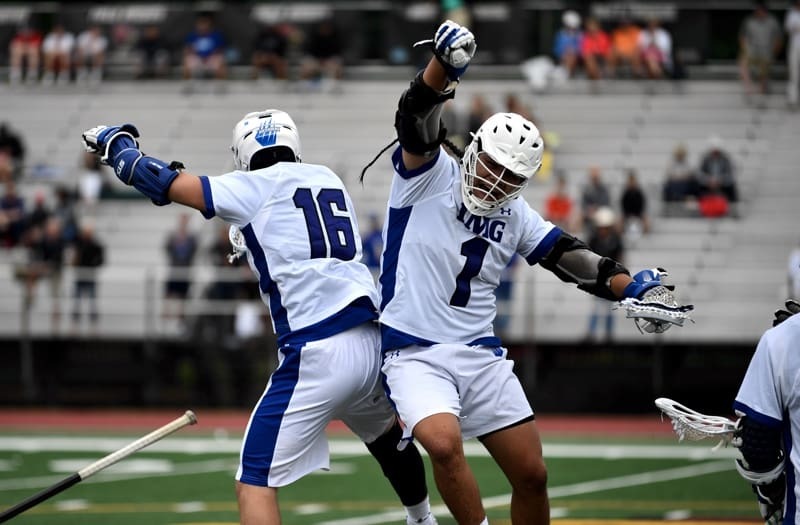 On a national stage, Nanticoke scored eight goals and had one assist for IMG Academy in the win over Christ School (N.C.) on May 28 at the Geico High School Lacrosse Nationals. The senior followed that up with a four-goal performance in the tournament semifinals on May 29. T Ridgeway from Georgetown Prep (Md.). 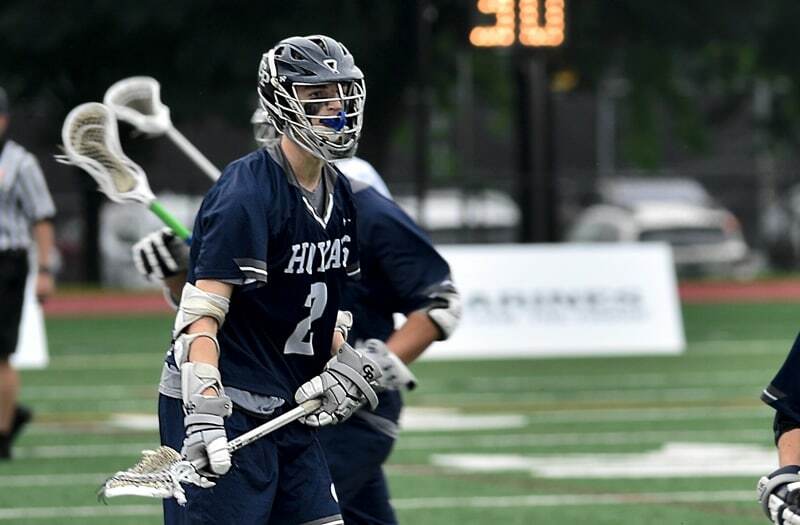 Ridgeway gave the Little Hoyas their biggest win of the year with three goals, including the game-winner, against IMG Academy (Fla.) in the Geico High School Lacrosse Nationals on May 29. The junior scored four goals in Prep’s first-round win over The Woodlands – leading them to an 11-9 victory. The senior helped the Raiders to their first-ever Tournament of Champions win in a 10-3 victory over Group 1 champion Madison. Robbins scored five goals and had one assist. He scored five goals in the Group 2 championship win over Rumson-Fair Haven (N.J.) on May 31. Schelling scored four goals to lead the Green Wave to an 11-10 win over Seton Hall Prep (N.J.) in the Non-Public A championship game. The junior has 56 points on 38 goals this season. Strough had six points to lead the Seahawks in a 16-7 win over Shoreham-Wading River (N.Y.) in the Long Island Class C championship game. The senior scored four goals and had two assists in that win. He scored two goals against Lynbrook (N.Y.) on May 30. On the year, the Fairfield commit has 61 goals and 12 assists. 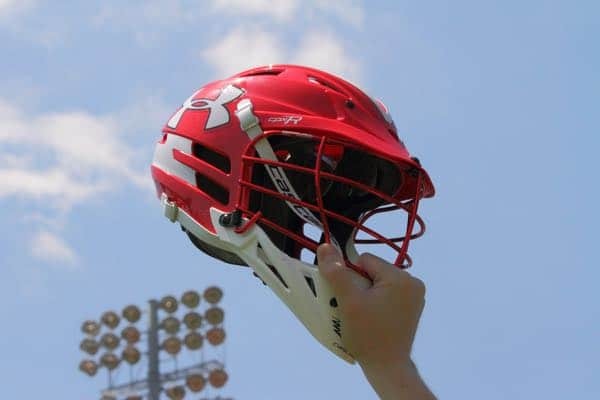 Watson was named MVP of Tuesday’s GEICO High School Lacrosse Nationals championship game after scoring four goals in a 12-6 win over Georgetown Prep (Md. ).